When you think of spring, the first things that probably pop into your head are pretty colors and flowers. 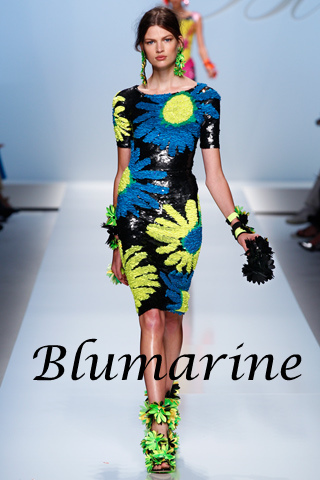 The Spring 2012 runway has both – with beautiful pastels, tangerines and blues, as well as bold and bright flower prints. The two daring trends featured in this post today – oranges and bold florals – are definitely styles you want to add to your wardrobe. Orange isn’t an easy color to work with, but if done right it can brighten up any outfit. Below is Morgan’s outfit incorporating orange. Easy to put together and perfect for those spring days, this outfit encompasses both the floral and orange trend for spring. If you’re still confused as to what you can pair with the color orange, try colorblocking and mix orange with blues and pinks. 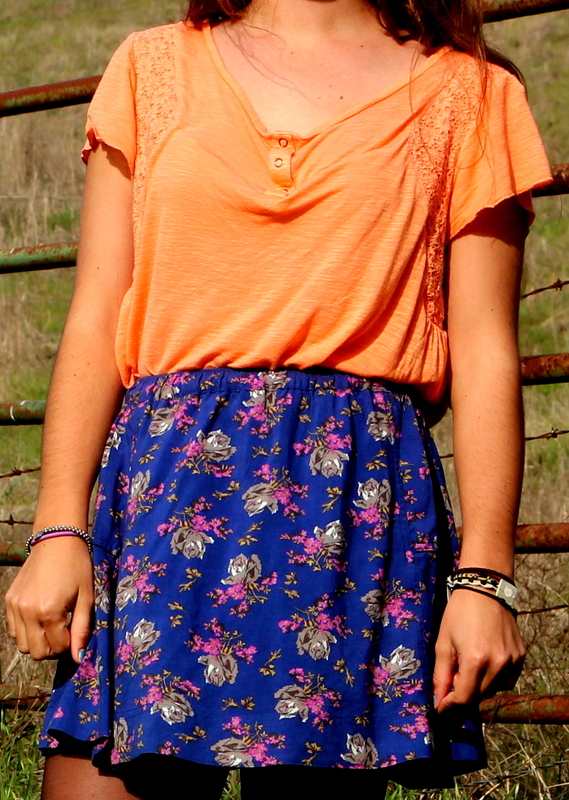 Pair an orange dress with a light cardigan or pair an orange top with a patterned skirt. There are so many options for you to try out! Another huge trend for spring is, what else, floral everything! But because it’s always seen on the spring runway, is it getting tiring? First-year Cal Poly student Florence Miller doesn’t think so. “I think that florals are always a nice touch for spring because they can be a fun, colorful addition to any spring outfit,” Miller said. Above is great floral top and scarf, both from Charlotte Russe. 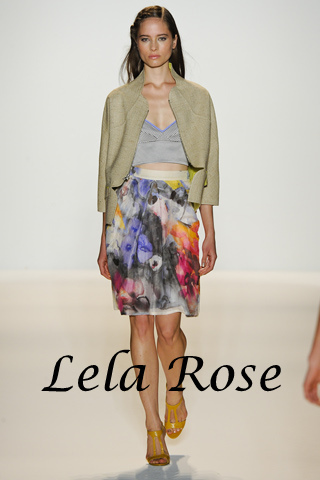 Pair the floral top with a bandage as the model is wearing or just throw on your favorite pair of skinny jeans. 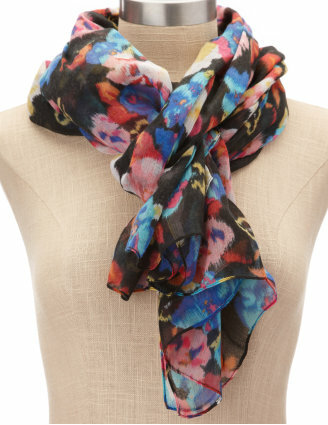 If you’re not so eager about the bold floral trend but just want to give it a little try, get a floral scarf like the one above! It’s not as risky, but it’s still cute and adds some color to your outfit. Try it with a lace skirt like this one from Nordstrom and your favorite top. 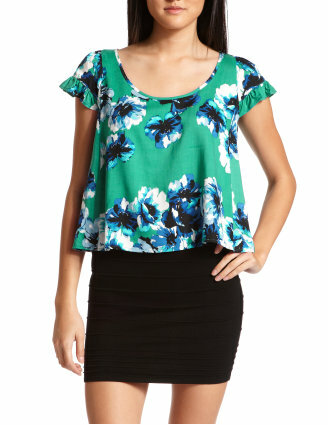 Or pair this lovely floral skirt from Macy’s with this loose top in Ivory from Forever 21. If you want, add a braided belt to cinch and it’s perfect! Super easy to pull together and effortlessly cute. When you have a tiring day full of classes and know you’re going to look a little beaten by the end of the day, pull something together in the morning with oranges or bold florals (even both)! These outfits will keep you looking bright.